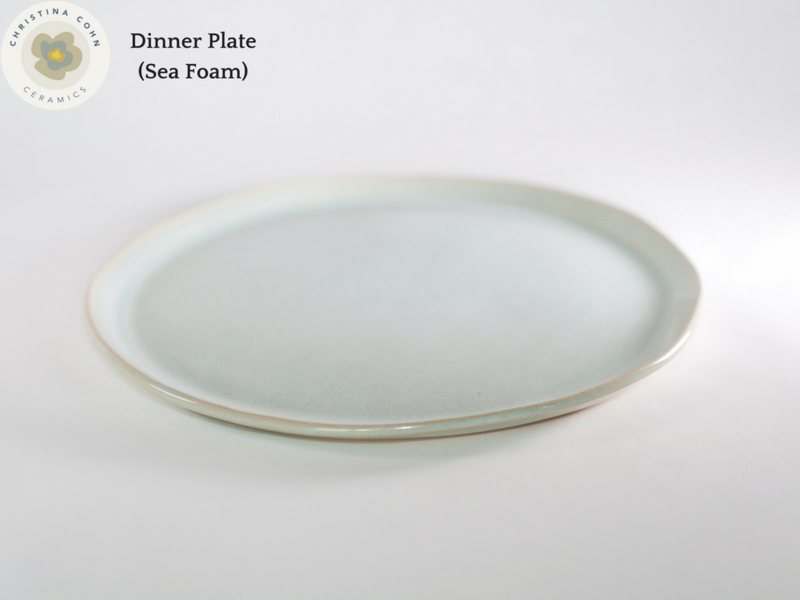 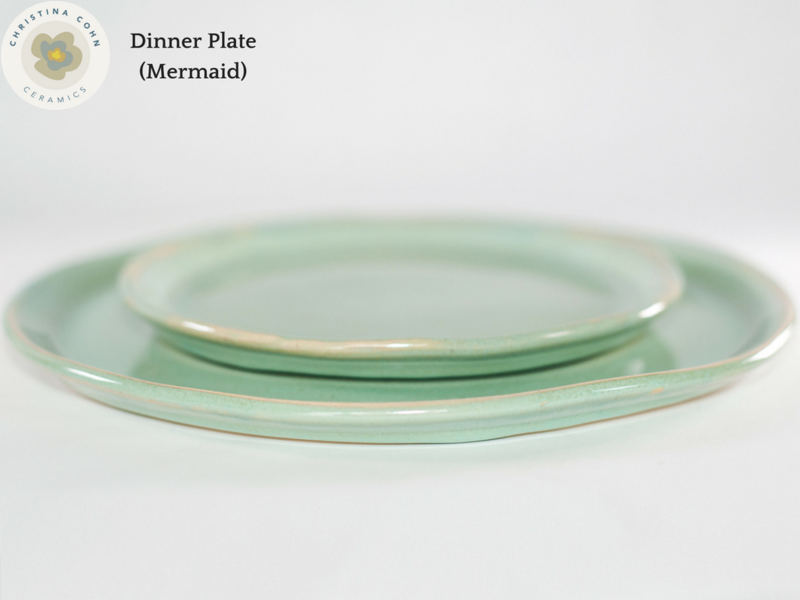 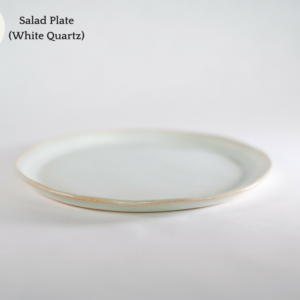 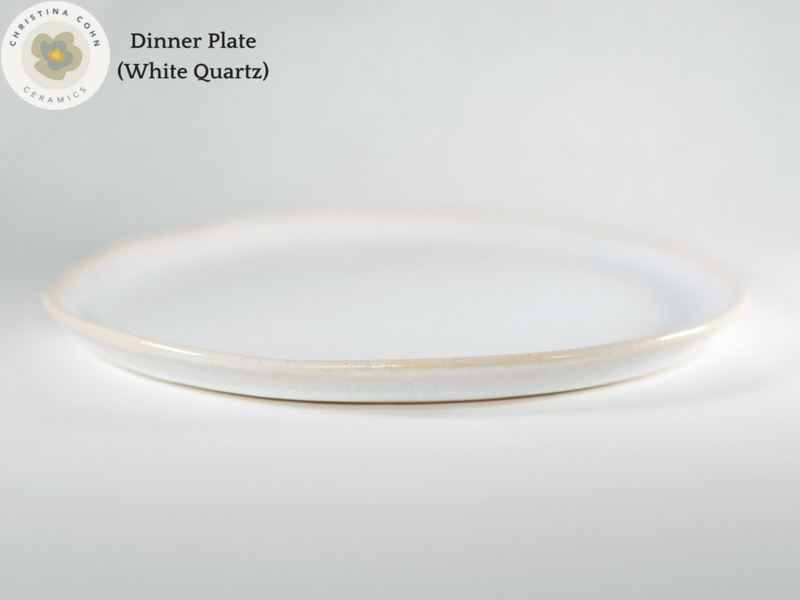 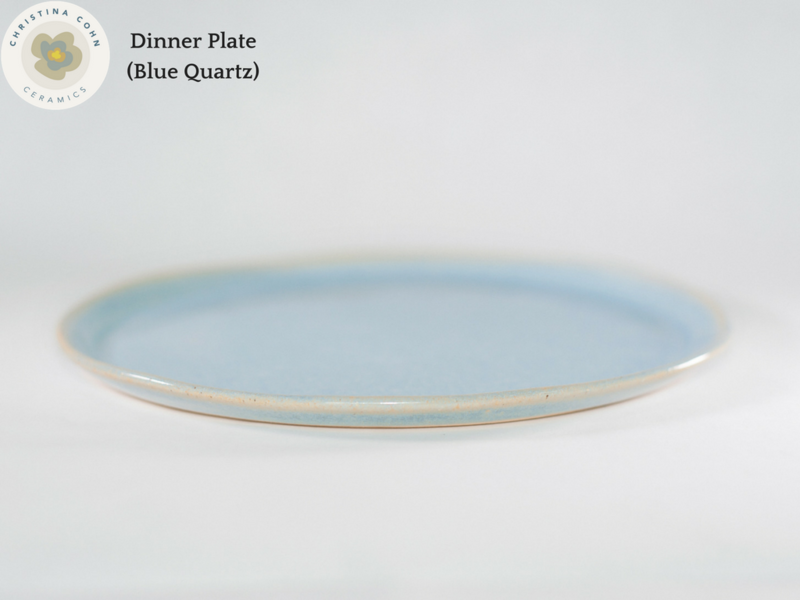 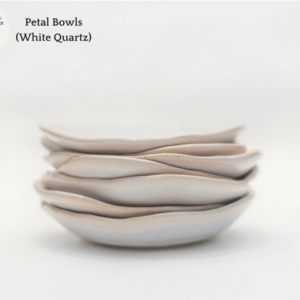 Dinner Plate: 10.5″ x .5″ | Available in: Mermaid, White Quartz, Bronze, Blue Quartz, Sea Foam Quartz. 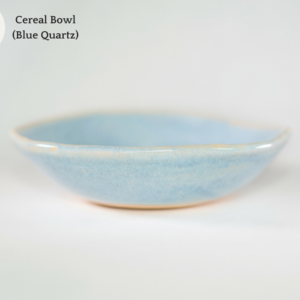 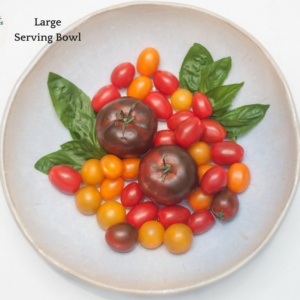 Choose a glaze color and quantity desired below in order to add items to your cart. 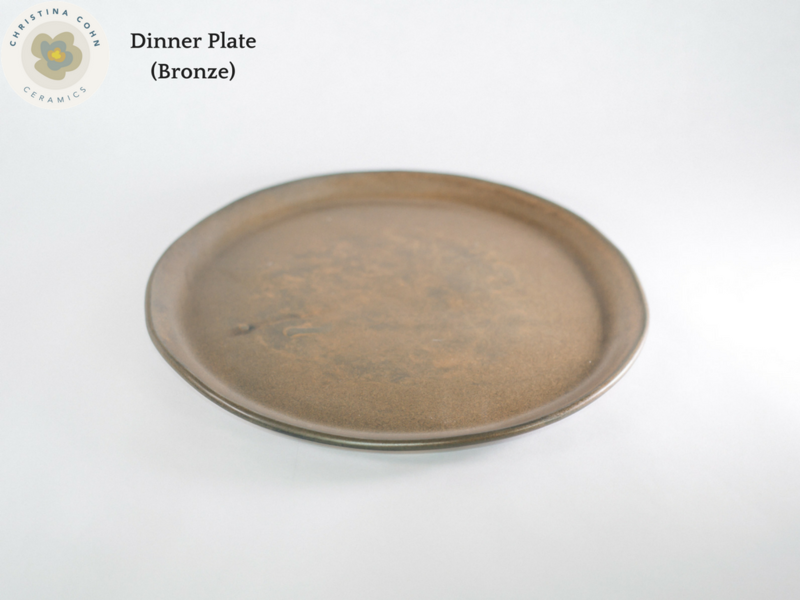 To see our glazes, refer to Our Glazes page.